Total Plumbing, Heating and Drain Service has been a fully bonded and insured heating and plumbing company in Northern New Jersey for 30 years. Our company has serviced thousands of residential and commercial customers throughout the North Jersey area. We pride ourselves in providing top quality, same-day services, including plumbing repair and installation, drain cleaning, water heater services, sewer/drain repair and much more. We are accredited by the Better Business Bureau and rated with an A+. 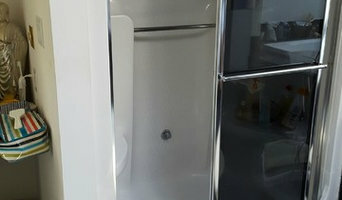 If you are looking for the right plumber in Livingston, NJ you have come to the right place. William C Diamond Plumbing & Heating, Inc. is your local service professional committed to delivering top-notch solutions at competitive prices. We have been serving your community since 1994 and continue to maintain our standard of excellence with every service call. Accurate Solutions We can diagnose hard to find problems and provide you with the most accurate solutions. Trust in the Diamond name! Upfront Service Every job is preceded by an upfront price and detailed discussion of the proposed service. No surprises. Master Plumber We hold a master plumber license and have over two decades of experience solving the toughest plumbing challenges throughout North Jersey. 100% Satisfaction Enjoy complete peace of mind with our reliable workmanship and quality services designed to provide you with long-term home comfort. Water Damage NYC offers a broad number of services necessary to abate architectural harm and cut down decrease in individual house due to water damage and flood damage. Our team will response swiftly to clean-up damages or injuries to wet or flooded cellars, sewer contaminants, storm damages or injuries for domestic and industrial buildings. We will release the following solutions to perform to bring back your house safely: water extraction and water pump outs, full structural drying, DE-humidification, mold and sewage remediation, and offsite content cleaning within a big storage area (drying chambers) within our factory. Tommy's Plumbing LLC, is a fully Licensed, Bonded, and Insured master plumbing, heating, cooling, and sewer drain cleaning service located in Paramus, New Jersey. All associates at Tommy's Plumbing take pride in their work. Our outstanding reputation, built on this foundation, is a true measure of our performance. We are reliable, trust worthy, and dedicated. We will take care of your home as if it was our own. Always courteous and clean, Tommy's will leave your home mess & worry free. At Tommy's, we deliver 100% satisfaction; nothing less will do! From new equipment sales to installation and repair, we've got you covered. With our staff of experienced technicians, there is no question that we can't answer. Choose Flex because we are the best! We offer quick turnaround times and our highly knowledgeable staff ensures your job gets done right the first time. Call us for your next Plumbing / Hvac project or repair. 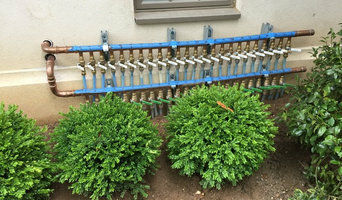 Greenleaf Plumbing, LLC currently offers comprehensive plumbing sales and services for homeowners in and around Central and Southern New Jersey. 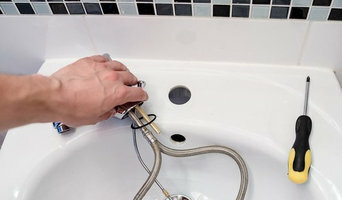 We have over 50 years of combined experience and expertise working in the plumbing industry. We take pride in our attention to detail and the great service that we offer to customers. 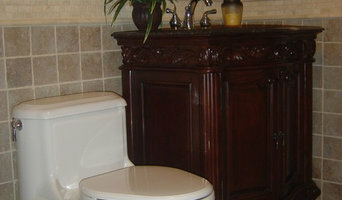 Adam The Plumber is a plumbing contractor / plumber serving the West Orange, NJ area since 1992. 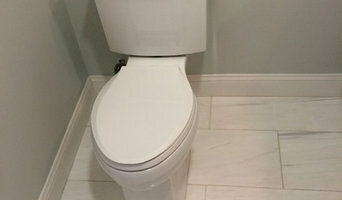 Services include Plumbing, Commercial Plumbing, Emergency Service, Burst Pipe, Water Heater, Sump Pump, Toilet Repair, Faucet Repair, Clogged Drain, Sink Plumbing, Bathtub Plumbing, Shower Plumbing, Dishwasher Plumbing, Drain Cleaning, Piping, Gas Piping, Sewer Repair, Wells and Pumps, Washing Machine and Frozen Pipes.